Deirdre Capone in Saskatchewan's Big Muddy. That’s not your typical statement, but Deirdre Marie Capone didn’t grow up in your ordinary family. 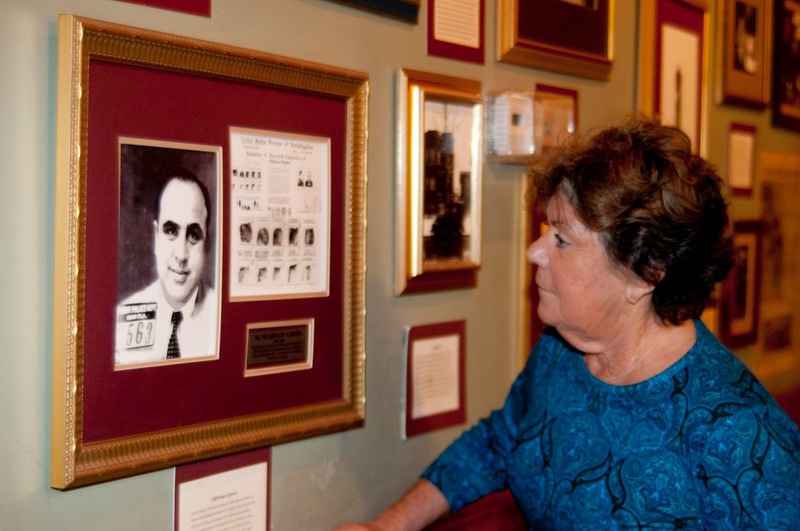 Deirdre is the grandniece of legendary racketeer Al Capone. “They’re up in their 90s now, but they had to go out of their way top tell me ... ‘We waited on your uncle and grandfather, and I want you to know that they were gentlemen,’” said Deirdre of the two prostitutes. More than 150 people attended the one-night event, which included a brief snippet from documentary filmmaker Kelly-Anne Riess’ expose of Finding Al. A short presentation from ancestry.ca, a quick question and answer session with the audience and a book signing — complete with the chance to get your picture taken with Deirdre — were all part of Tuesday night’s event. But all of those things paled in comparison to the curiosity some of the show’s attendees had about Deirdre, her grandfather Ralph and Al Capone. Gord Mertler came from Regina to hear Deirdre speak. He was also at her book signing in the Queen City on Monday, but wanted to hear her family stories. “That mystique about Al Capone is why I’m here,” Mertler said before the presentation began. Deirdre Capone explores her family history in Moose Jaw. Deirdre, aided by a slideshow, spoke for nearly an hour about her upbringing in the Capone family, the true details of the then illegal operations her great uncle and grandfather were a huge part of, as well as what really happened to Al the last few years of his life. 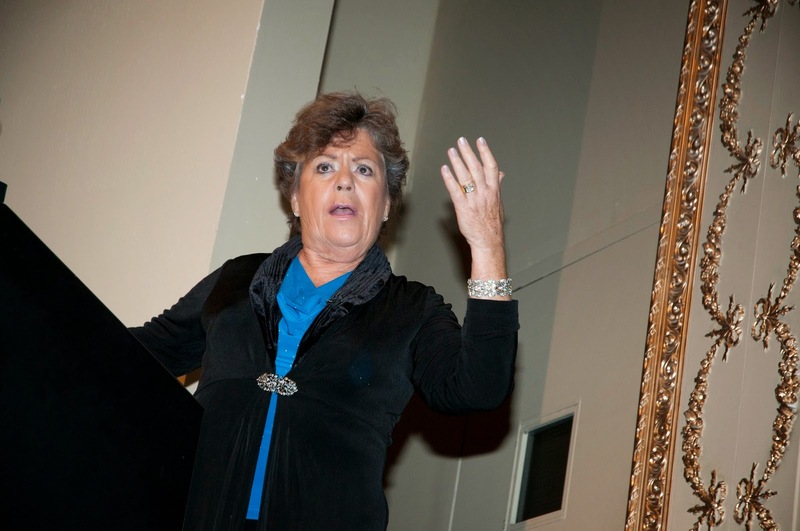 There were a number of fascinating stories Deirdre told people in the audience, but the one that generated the biggest collective groan from them was when she spoke of her uncle having been transferred from Alcatraz to Terminal Island — just outside of Los Angeles. At Terminal Island, Al received what physicians thought was a new treatment for syphilis. After he was released from prison in 1939, his health was extremely poor. There was a reason for that. "Ladies and gentleman, the treatment they were giving my uncle to cure syphilis was injections of mercury," Deirdre stated. Deirdre later said her uncle went across the United States to Baltimore, where he had the poisons leached from his system. His memory, she added, was also at a loss. "When you are in Alcatraz you are your number. You never say your name. "When Al Capone got out of Alcatraz he could not remember his number. He could not remember being there," noted Deirdre. Al Capone died in 1947, but the Capone family didn't think his name would continue to be talked about more than 65 years later. Deirdre wants to continue to get the message out that, yes, her family participated in illegal activities back in the day, most of those practices — gambling, making alcohol and prostitution — are now legal. She doesn't want her family's name continually painted with a black brush. That's one of the reasons she came to Moose Jaw. Another reason why she came hear was to try and "put more of the puzzle pieces together." "I have such a photographic memory, that hearing even the littlest detail relating to my uncle makes added sense to the jigsaw puzzle of my family's history," Deirdre said after the presentation and book signing was complete. She toured the tunnels and even gave Tunnels of Moose Jaw human resources cast director Kelly Carty a tip. 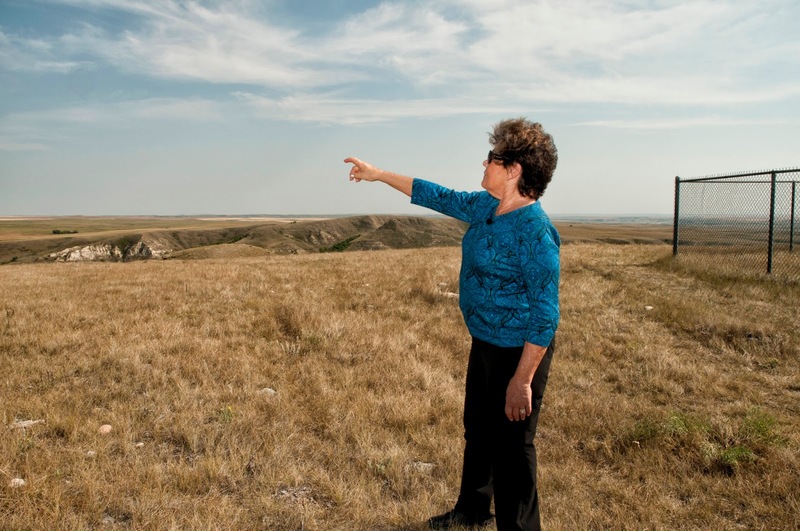 Deirdre Capone shares her family's story with Saskatchewan. "She told me that in Al's bedroom we should put a white or a straw hat in there because that's what he liked," Carty said. "I've already put a white fedora in there." After the show, the Times-Herald spoke again with Mertler. He said Deirdre was quite the ambassador for the Capone family. Mertler also admitted he learned something from her presentation. "I actually thought (Al) died in Alcatraz. His years in Alcatraz I thought he was this notorious jailbird, (but) in the years following his release he was more scarce," noted Mertler. Deirdre Capone is still trying to refute the claims of 'gangsterologists,' but on Tuesday night she was able to alter the perception of Al Capone, for at least one Saskatchewanian.